Failure. It happens to all of us. Failure is not meeting the pre-appointed mark; a disappointment. Failure to our families; our spouses, our children or our parents. Failure to our church body and friends, even our bosses. To ourselves. We fail our families, when we make wrong choices and they have to suffer along with us. We feel we fail them when our health is not good and we have to cancel plans once again. We also feel we fail them when we can’t seem to get and keep a decent job. We can convince ourselves that we fail them when we can’t get them the latest and best. Failure. A disappointment. Our health issues make us feel this way. When mental illness devastates our minds, keeping us bedridden in a darkened room, we feel it. When our friends don’t understand why we’ve changed and we hang out less and less; we feel it. We can feel like a failure when we miscarry for the second, third or fourth time. If you are a parent, you’ve made mistakes; had failures in your endeavors. Some of it is a ‘live and learn’ experience. When we can’t seem to make anything work in our lives we feel it. Failure. A disappointment. Much of this we do to ourselves in our own minds; where we listen to the enemy as he whispers ugly things. When our focus becomes fixed on unhappy results, we shove ourselves over the cliff so to speak into the whirlpool of self-hate, self-blame and self-pity. This holds true for anyone, not just parents. This is not to be. We are to focus our hearts and our minds on the Father, not the problems. When we fail, or feel like a failure, go to Him. 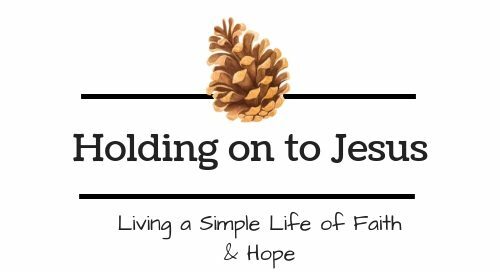 We are to hold tightly to His hand. Seek His will. We need to find out if this is something He is allowing, if it is due to sin or mistakes; or if the enemy is causing trouble again. If our problems are due to the enemy, we need to deal with this threat. Using the power of Jesus’s name and His blood which was shed for us, we can rebuke the enemy and make him flee. If we don’t take care of this attack he will only grow bolder and try to take over more territory in your life. If you’ve let go along the way, call to Him and reach out to grasp His mighty hand. He is our Sustainer. He wants to carry us. He doesn’t want to stand behind us and watch us flounder in the muck of life. He wants to pour out His strength upon us. His strength is made perfect in our weakness. Sometimes we need to give way to what God means for us right now. That there may be something greater at work in us and for us. in distresses, for Christ’s sake. God cares more about our character than about our physical side. So if we need to bear with some health issues, great or small; go through struggles and even catastrophic events to bring about growth in our character; He feels that it is worth it. This may be hard to hear; but He knows our future and what is important for eternity. Our life here on earth is preparing us for our eternal home. Why do you think that as believers we were told to be learning and developing our Christian character here, if heaven wasn’t going to be something pretty special. Why should we strive for the prize if this life was the end? God has a whole new life waiting for us to use what we learn here on earth. God means for His children to live abundant lives while here on earth. That means utilizing the means provided to us for overcoming failure. Read His word; seek out examples we can learn from. Humble ourselves under His authority; accepting His will for our life right now. Praying for the strength needed. Look for areas of weakness. Being honest with ourselves about what we may have done to cause a failure. Seeking ways to rectify actions and succeed next time around. Get up and try again if the situation warrants it. Since we are His children, we are meant to be over-comers. Over-comers of sin, of our circumstances, of anything that is getting in the way of God’s work in our lives. That includes ourselves. We can be our worse hindrance to growth. We can look for ways to improve and grow in our walk with Him. We can have a better attitude, be grateful; resist temptation. Make sure we stay close to the lord with daily bible study and prayer. We can place ourselves with another believer for accountability. This can work for any number of issues, even for being grateful. The point is to work toward acceptance, change, success; whether it is for our circumstances or our attitudes. if we hold the beginning of our confidence steadfast to the end. Amen! Thank goodness His love never fails! Thank you.